Nowadays Mobile Phone is a common and popular device and more and more people could not live without them. Sometimes people like to put their favorite video to mobile phone for watching on-the-go. Have you ever wondered on how to convert video to mobile phone to enjoy on your smart cell phone? 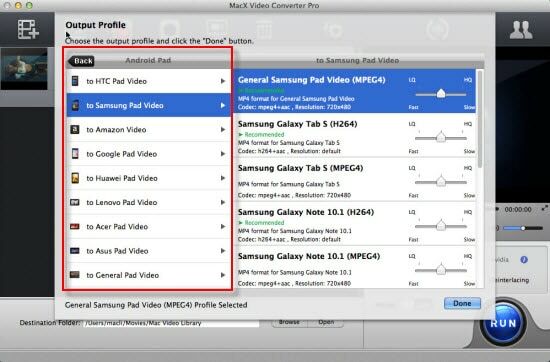 This guide will show you how to use MacX Mobile Video Converter which is a totally free mobile phone video converter for Mac users to convert video to MP4 and 3GP for playback on mobile phones such as Blackberry, Nokia and Android. Best mobile video converterter to convert MKV, MTS, M2TS, WMV, AVCHD, FLV, etc to Samsung, HTC, iPhone, iPad on Mac (El Capitan) and Windows (10) with no quality loss. MacX Free Mobile Video Converter supports converting almost all the HD and SD videos, including MPEG, RM, RMVB, VOB, FLV, MOV, Dvix, Xvid, WebM AVCHD, MPEG4 AVC, MKV, WMV, Blu-ray video, HDTV video etc. Thus, with this software, all the Mac users can feel free to convert video to mobile phone and enjoy at will. 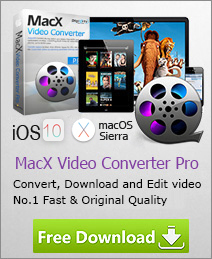 After download MacX Free Mobile Video Converter, install and run it. Click "Add File" button to select a video you would like to convert. Batch conversion is supported, you can load several video files at one time. In the output format area, you will only need to point out which device you are going to use to watch the video after you converted it, for example, convert video to Android Huawei Mate 10, HTC One M10, Amazon Fire Phone, Google Nexus 6, etc. The video/audio settings will be adjusted automatically according to the chosen device preset. You can also set your own parameters as you need. Specify output folder on your computer to save the output files. Click the "Browse" button to select a folder where you want to place your converted files. Click "Start" button to start converting your video file. Then you can enjoy the converted video on mobile phones. You can view the conversion progress and are able to cancel the converting process at anytime. By using this free mobile video converter, you can exact the MP3 audio out of the original file and save it as your custom ringtone or take a snapshot and save it as JPEG or BMP file as your wallpaper that stands out from the common ones. So, you want to buy a new phone but do not know which one to choose? 2015 top 10 phones review is provided as the hottest guide of best phones 2015.